After months of preparation I’m excited to share with you that SLOWLY is now available for Android devices — you can install it for free from the Play Store. While you’re downloading I’d like to thank you for your patience and feedback. There’s been a long delay, and the journey of creating SLOWLY is much harder that I could ever imagine. But it’s finally here. I wish it’s worth the long wait. 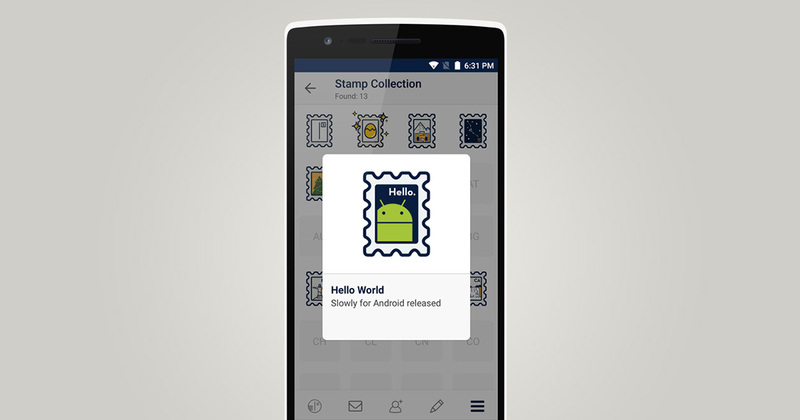 You’ll unlock a memorable stamp. I would love to hear what you think about SLOWLY for Android. Feel free to email me anytime if you have questions or if you have any difficulties using the app. If you love SLOWLY, a review on Play Store would be much appreciated! Thank you again, and of course — happy penpal-ing!